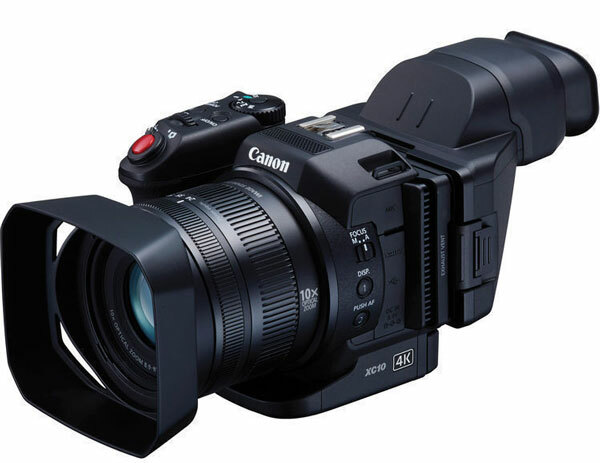 You can download Canon XC10( Amazon and B&H) camera to improve the AF speed and other features camera, not only that you can also download Cinema EOS C100 Mark II and Cinema EOS C300 Mark II firmware update including many other professional camcorders to upscale the performance of the cameras. How to reduce flicker rate of Canon XC10 camera ? we have received this question many times by our users and finally we have the answer, you can reduce the flicker rate of Canon XC10 camera by downloading the latest firmware update. The latest firmware update also increase the Auto Focus Speed of the camera. Canon also announced a bunch of firmware updates for Cinema EOS C100 Mark II camera and Cinema EOS C300 Mark II camera (including Canon Log3), XA30/35 , XF300/305 and including VIXIA G40 also. For more details take a look at the press release. MELVILLE, N.Y., April 13, 2016 – Canon U.S.A., Inc., a leader in digital imaging solutions, today announced firmware updates to several products being showcased at NAB 2016. These firmware updates support a number of feature updates for users including improvement of workflow, ease of use, focusing and lens corrections, color space, and creative flexibility for products in the Cinema EOS, HD Video, and 4K Reference Display lines. The EOS C300 Mark II Digital Cinema Camera updates will allow various functions such as shooting in new Canon Log3, viewfinder magnification during recording, focus guide with EF Cinema Prime lenses, Push Auto Iris and Zoom function on the grip joystick with New COMPACT-SERVO and CINE-SERVO series lenses, Canon Dual Pixel CMOS AF (DAF) with COMPACT-SERVO 18-80mm and CINE-SERVO 17-120mm lenses, ACES 1.0 output, peripheral illumination correction updates and overall image improvements such as noise level reduction in low-light for Canon Log2. The EOS C100 Mark II Digital Cinema Camera update will allow various functions such as Push Auto Iris and Zoom function on the grip joystick with the new COMPACT-SERVO and CINE-SERVO series lenses, Canon DAF with COMPACT-SERVO 18-80mm and CINE-SERVO 17-120mm lenses, and peripheral illumination correction updates and selectable disabling of the microphone. The DP-V2410 4K Reference Display firmware will be updated to support ARRI Log C and ARRI metadata; improve display contrast and dynamic range; add support for Canon Log3 and Hybrid Log Gamma; and display of SMPTE 2084 input signal on the waveform monitor. The DP-V3010 4K Reference Display firmware will be updated to improve display contrast and dynamic range; add support for Canon Log3 and Hybrid Log Gamma; and display of SMPTE 2084 input signal on the waveform monitor. The CINE-SERVO 17-120mm Lens will be updated to be compatible with Canon’s DAF function in the EOS C300 Mark II and EOS C100 Mark II Cameras. The update for the ME20F-SH Camera will include lens support for an additional 19 EF and CINE lenses allowing for more creative choices in a wider variety of shooting applications including television and film production. The XA35 and XA30 Professional Camcorders and VIXIA HF G40 Camcorder updates include a new file format making it easier to integrate into third party software systems that are used for athletic coaching applications. The firmware updates for the XF305 and XF300 Professional Camcorders include new shooting modes allowing for greater creative flexibility, Wide DR Gamma (600 percent) Mode, Highlight Priority Mode, and Signal/Noise priority mode. The XC10 4K Camcorder firmware will be updated to include a new file format MP4 in HD mode (35 Mbps only), improved AF speed, and shutter speed options for flicker reduction. To see these products mentioned above at NAB 2016, visit Canon U.S.A., Inc. in the Central Hall, Booth C4325. Follow Canon throughout the show on Instagram at @CanonUSA and Twitter at @CanonUSApro. To learn more about the firmware updates and their availability, please visit www.usa.canon.com/NAB2016Firmware.